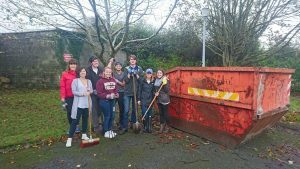 As a non-funded, community based charity, corporate partnership or Charity of the Year can make a huge difference to Galway Autism Partnership. A partnership with GAP could help build your company’s corporate image, staff morale and customer loyalty. Does the company where you work nominate a Charity of the Year each year? If so we would be delighted to be considered as your Charity Partner. We can work with your Charity Committee or HR Team to develop a programme of fundraising and volunteering for the year ahead. We would be happy to come in and meet with you to discuss all of your options. GAP is making a difference in our community. We are working hard with our limited resources (both in personnel & income) to make life better for people living with autism. People on the autism spectrum bring unique qualities, talents and experience like any other person. They and their families deserve an equal chance at life experiences. With all the cuts in services within our health system and the long waiting lists, many families are really struggling and rely on GAP for much needed support and more. GAP clubs and camps give the child or young person a chance to enjoy an activity independently of their family while giving the other members of their family a break. The peer support offered by GAP is important both to families undergoing the diagnosis journey and to families who are transitioning from one stage to another in their lives. Without your support, GAP cannot continue to offer these supports. You could choose GAP for a specific volunteering opportunity, a community engagement program, a long term partnership or as your Charity of the Year. GAP will work with you to create and build a mutually beneficial partnership. 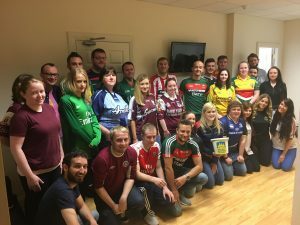 All corporate donations to Galway Autism Partnership are eligible for tax relief at the corporate rate, reducing the actual cost of the donation.